When we begin planning with our couples, we ask a few “get to know you” questions. One of them being to describe each other. To Neal, Hannah is adventurous, enthusiastic, dedicated and really quirky. To Hannah, Neal is outdoorsy, intellectual, laid-back and…really quirky. Twelve months of getting to know these amazing humans and we can confirm each one is 100% true! H+N met in college, running cross country in Golden, CO. I’m impressed by distance running in general, but good on them for doing it in the mountains, at high altitude! They bond over a love for traveling, skiing, microbreweries , small bite foods, experiences with friends and family…I mean…what’s not to love about all of those things?! Each of them playing a big role in the planning of their dream wedding! As we do with a lot of our couples, our planning began from a distance. H+N lived in Utah and we were still in Denver. 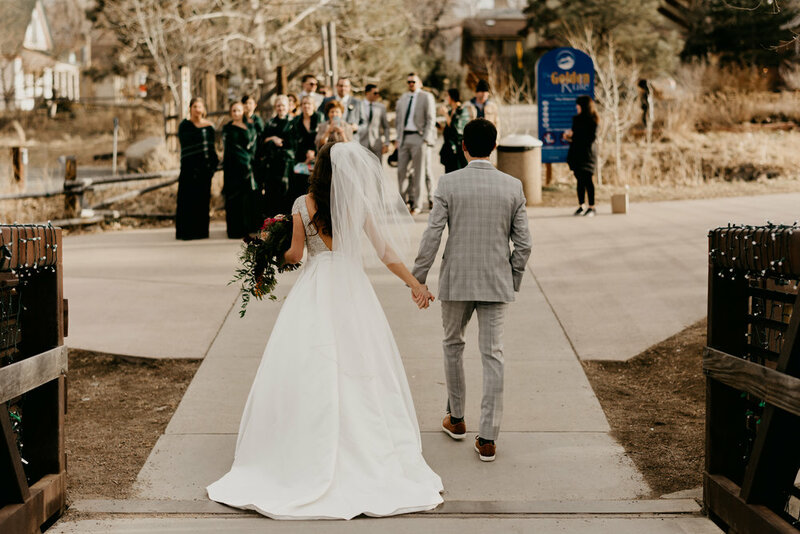 Family & nostalgia brought them back to Colorado for their wedding - something we suggest when deciding on the perfect place for your wedding, choosing a place with emotional ties. Cue the Briarwood Inn in beautiful Golden, CO! Golden is home to Hannah’s family, their college and many miles of cross-country trail that these two ran together. The overall goal in our planning was to give H+N’s guests an experience that would leave them feeling like they needed 30 more minutes with the DJ. 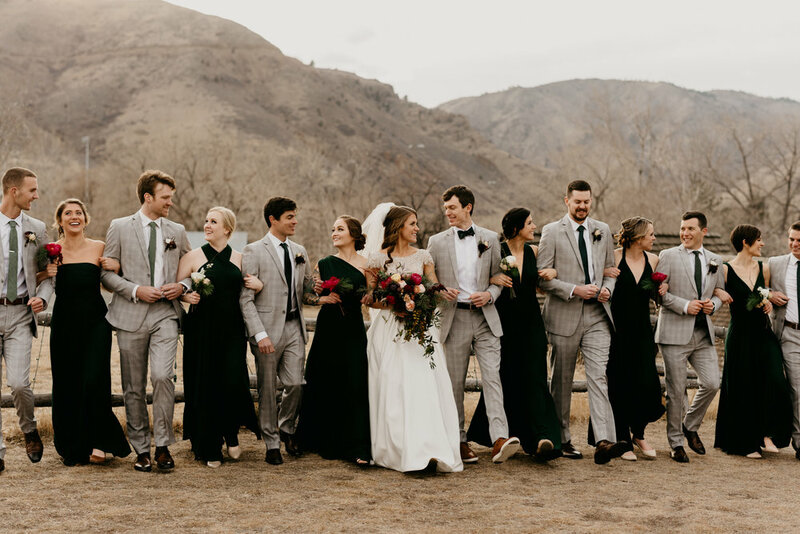 One that would leave people in awe of how in love they were (by the way, it was very obvious , they spent the whole night together, dancing, holding hands, stealing newlywed kisses…)! 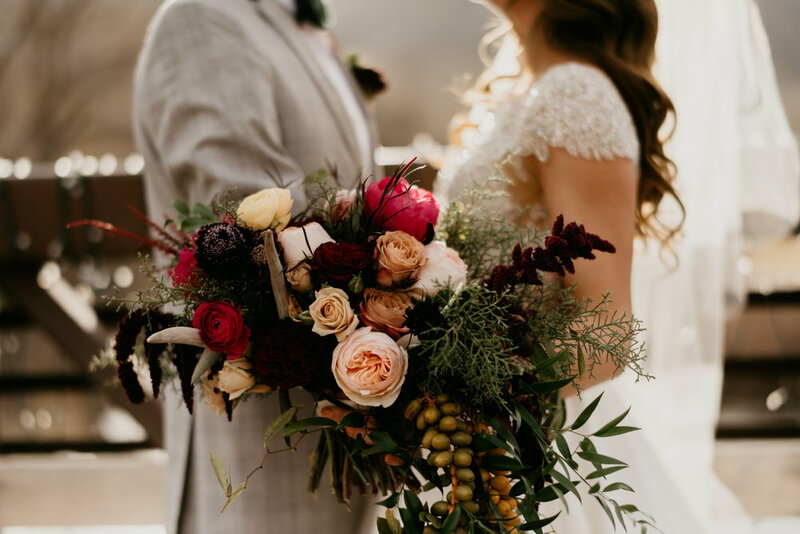 With their friends & families in mind, we created the cozy, intimate, winter wedding these two had always dreamed about.